Slotted grating is a very versatile type of stainless steel drain grate and can be used in any application, from light-to-heavy duty. Slotted grating is available in 12 ga., 10 ga., ¼” or ½” plate, using 304 or 316 stainless steel. Bar grating is used for drains in high traffic and high flow areas. StainlessDrains.com’s bar grates are heavy duty and are fork-lift rated. They are manufactured using 304 or 316 stainless steel ¼” x 1-1/2” bars on 1” centers. We also offer 1/8” bars when a lighter duty grate will meet your needs. 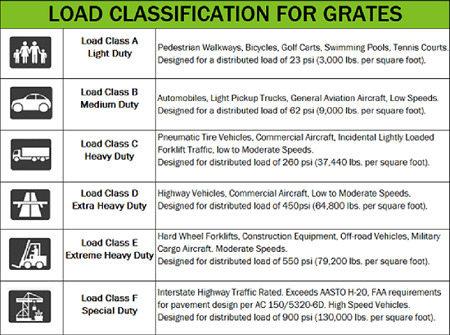 Perimeter gap grating is used with drains in medium-to-heavy traffic areas and can be forklift rated. Perimeter gap grates are available in ¼” or ½” solid plate with ½” gaps along the perimeter using 304 or 316 stainless steel. These grates can also have finger holes for easy lifting if desired. 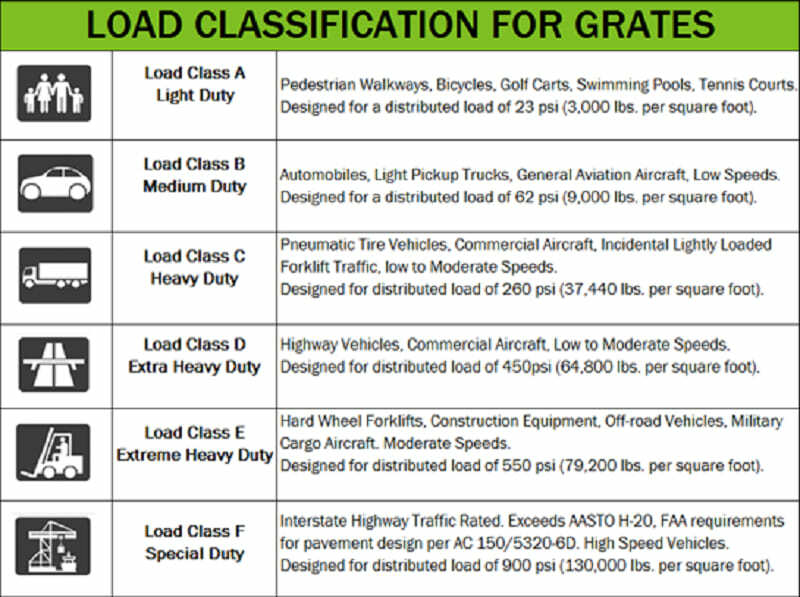 Perforated grating is applicable for light-to-medium traffic areas. Perforated grates are available with standard round (3/8” holes on ¾” centers) or square (½” holes on 1” centers). Logo grating is a unique way to give your grates little details of character. Most of our grates can have a logo engraved or annealed onto the surface. Frame and grate is ideal when a formed concrete trench is used for trench drain grates. We can manufacture any size angle frame and grate to meet your application. 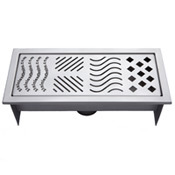 Custom stainless steel floor drain grates and floor covers can be manufactured to meet the specific requirements, installations or replacements. Our commercial drain and cover experts have 20 years of experience designing and manufacturing drains or covers and will ensure that your grate selection will match the flow volume and traffic conditions of your drain. All of the stainless steel floor drain grate or drain cover products manufactured by StainlessDrain.com are made in the U.S. at our Texas plant, allowing us to control all aspects of production. As a result, we are able to offer competitive prices on both custom and standard grating.